What is a customer data platform? 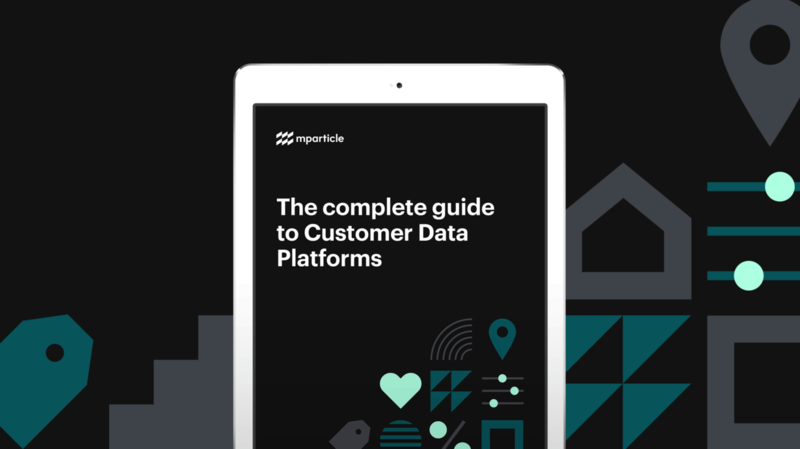 Read this in-depth guide on customer data platforms (CDPs) to learn about their unique data management and orchestration capabilities and how you can benefit from its implementation. No topic has generated more interest and debate among the marketing technology community over the past few years than the “customer data platform” (CDP), the category of software designed to help marketers fuel one-to-one engagements, and enable unified insights, in a cross-channel world. Detractors have tried to position CDPs as a fresh coat of paint on old technologies like the data management platform (DMP), tag manager, or any number of CRM applications. Not helping matters, several point-solution vendors finding themselves in need of a new market opportunity have embraced the term CDP. 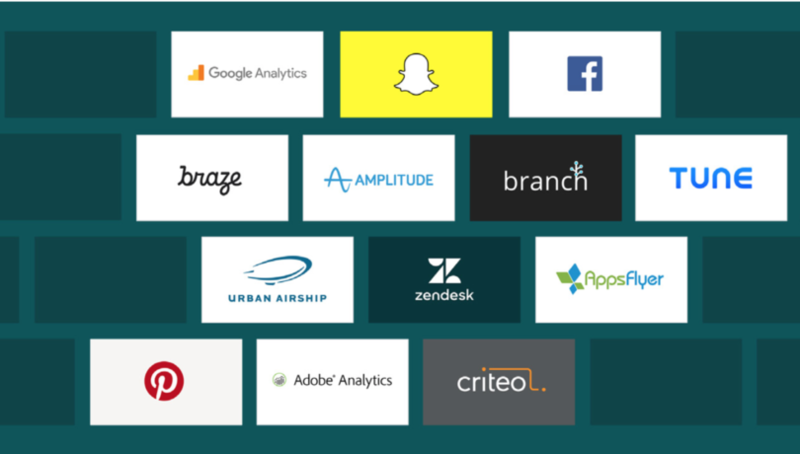 Still, the allure of CDPs is that they represent nothing less than what one analyst refers to as “a generational and procedural shakeup of enterprise marketing technology” and, if only for that reason alone, need to be reckoned with by everyone. The CDP Institute’s standard litmus test for whether a data platform qualifies as a CDP is three-pronged. Engineering debt has always been a problem for marketers looking to do advanced customer data querying and analysis. As much as IT may want to help, constraints on their time mean they have to prioritize core product development as much as possible, leading to marketing request delays. A CDP changes this by eliminating marketers’ need to ask engineering in the first place; instead, once a CDP is implemented properly, marketers can easily update customer data, create and forward segments, A/B test content across channels, and more with just a few clicks. By taking out the engineering middleman, marketers are free to test and change campaigns on the fly to minimize wasted spend and maximize campaign ROI. A critical part of marketing is knowing who you are marketing towards, but the proliferation of channels and devices have made knowing who your customers are more difficult. 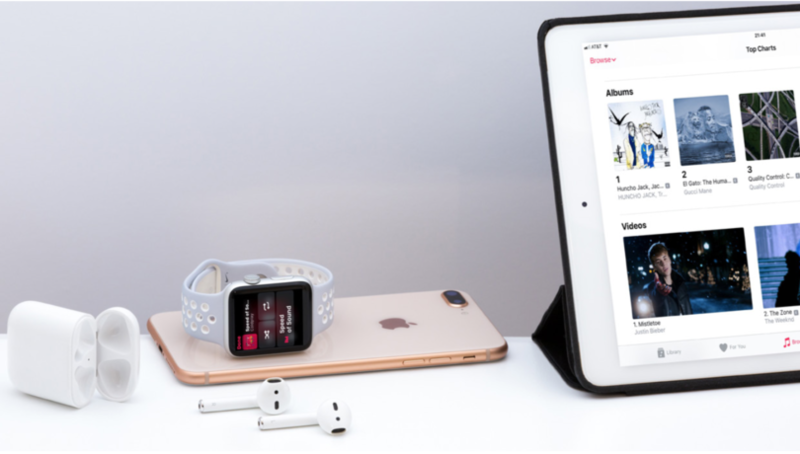 A customer might first engage with your brand on their laptop at work, then continue browsing on their phone during their commute, and finally make a purchase on their tablet while at home. Without the ability to connect all of these data points to a single customer profile, marketers may see them as three separate people and waste money targeting towards a customer that has already made a purchase, or worse, annoy them enough to lose their future patronage. 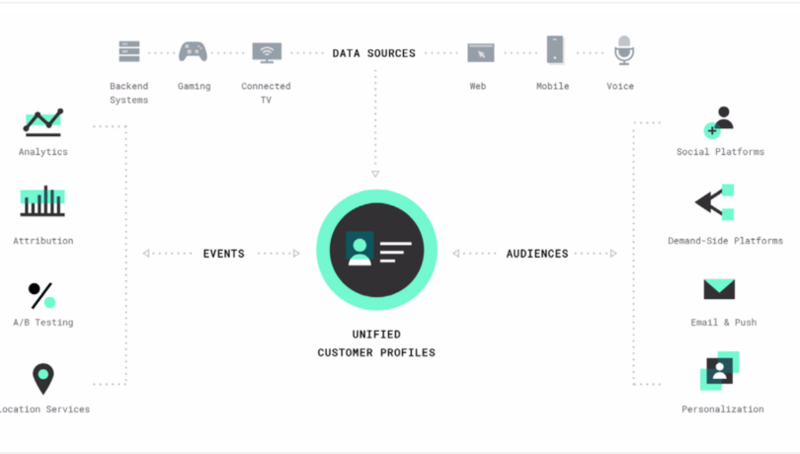 Based on the mParticle platform to illustrate data being brought together to form unified customer profiles. The actual sources and connection types may differ between each CDP. Learn more about the mParticle platform. 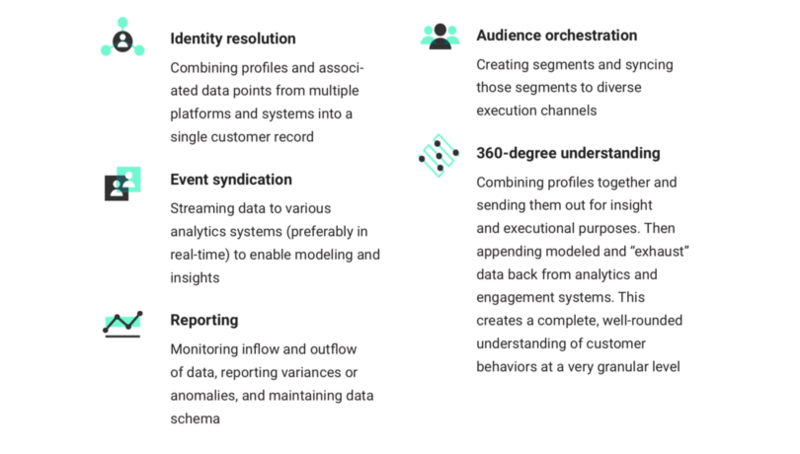 A CDP is able to take all of these separate data points and attributes and match them to a single view of your customer, so marketers can avoid targeting customers with the wrong message or offer. The main difference with this kind of profile versus customer profiles developed through other systems is its persistence. Instead of relying on cookies, which collect and anonymize data and have a set expiration, CDPs collect first-party data like mobile identifiers, geographic location, emails, and more for a persistent, robust customer profile. Simply having a unified customer database isn’t enough; you need to be able to use that database effectively. A CDP should not only collect and match customer data from disparate systems, it should also be able to forward it to the services and systems you’re using to execute campaigns. For example, a data point collected as a result of a customer browsing for boots is collected, matched to their customer profile, then this profile is used to activate a push, email, or display ad for boots. This connection, although simple-sounding, is critical for marketers looking to increase the speed, scale, and accuracy of their targeting. By cleaning and matching the data, a CDP makes customer data actionable and provides the connection to the systems already in place to make use of that data. How are CDPs different from data lakes, data warehouses, and current CRM systems? Unlike data lakes, data warehouses and most CRM systems, which are controlled by IT, marketing departments are the primary stakeholders and system owners of CDPs. 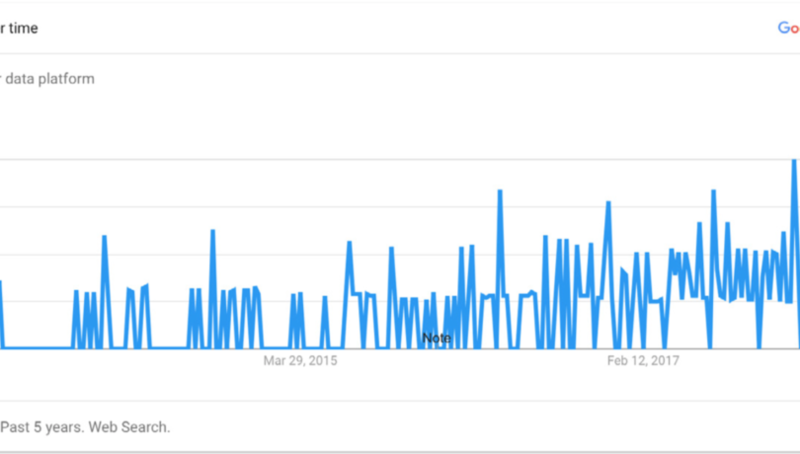 Is CDP just another name of DMP? No. Unlike web DMPs, CDPs capture and store personal identifiers and persist data over long periods of time. How are CDPs different from marketing clouds? Unlike big marketing clouds, which bundle data management and execution, CDPs specialize in unifying data and delivering it to other systems for execution. While the concept of customer data platforms has been around for a long time, the recent surge in interest is owed to the confluence of increasing customer expectations and fractured data challenges. Today’s customer journey crosses more channels and devices than ever before. Mobile is a big part of this change. 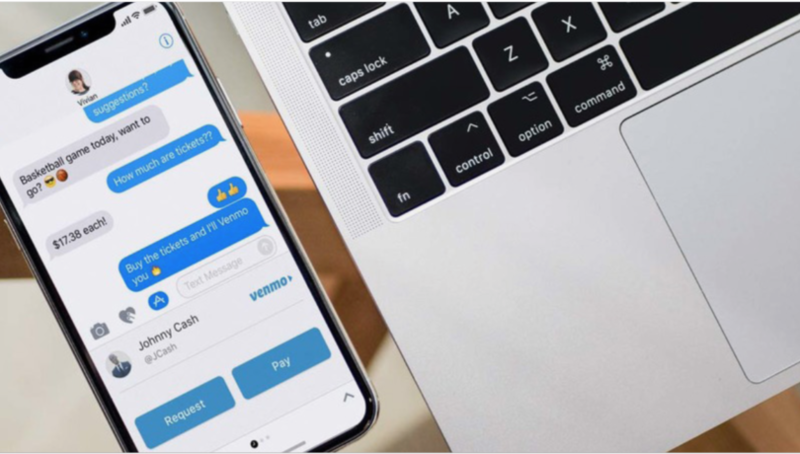 Customers increasingly treat mobile as the hub for their online and offline brand experiences and will turn to their connected devices in their moments of need—whether that’s at home, in-store, or on the go. When they do, they expect to pick up with the brand exactly where they last left off. According to a Wunderman study, 87% of people now measure their experiences with any brand against the likes of Netflix, Uber, and Amazon. To meet the expectations of the nearly half of Americans who have made the “mobile mind shift,” companies must anticipate and address in-the-moment needs, connecting channels and data sets at a speed and scale like never before. CDPs make it possible to create the seamless experiences customers expect, despite the organizational and technological challenges. 87% of people now measure their experiences with any brand against the likes of Netflix, Uber, and Amazon. Marketers have accepted no single “cloud” will solve all their problems: The Big Five providers—Google, Adobe, Salesforce, Oracle and IBM—currently account for a minority of technologies in the average large company’s marketing stack (the big clouds have relatively little footprint in the mobile ecosystem). No matter which cloud platforms are used, businesses still need a multi-vendor strategy to create a single customer view. CDPs provide the connective tissue betwixt and between all these different cloud software providers. Having the right CDP will help you get more control over your data, comply with regulatory mandates, and meet ever- increasing privacy expectations. Companies are increasingly finding that allowing data and tools to run wild with lots of poorly maintained, point-to-point integrations only increases the likelihood of data leakage or breaches. While it won’t solve everything, having the right CDP will help you get more control over your data, comply with regulatory mandates, and meet ever-increasing privacy expectations. CDP vendors differ a great deal in their privacy, security, and governance standards. For example, many mid-market-oriented CDPs do not offer partitioned data storage, role-based permissioning, or controls for EU privacy compliance, which are vital for companies with a global scope or ambition. 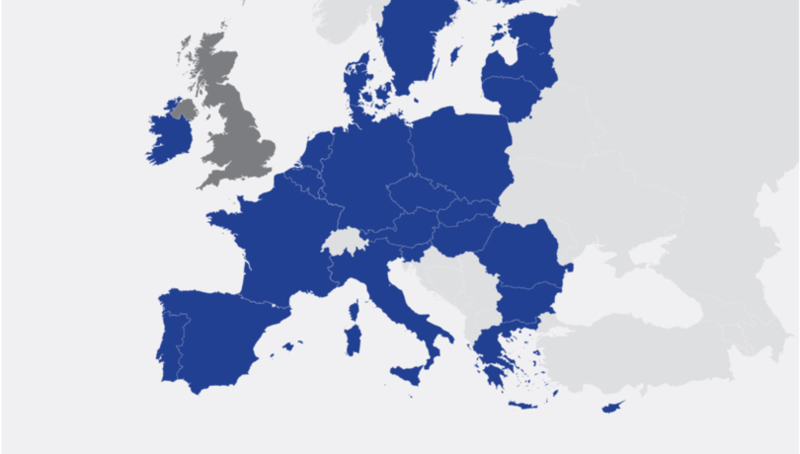 GDPR compliance is vital for companies with a global scope or ambition. Different CDPs offer different types of partner integrations. Prospective CDP buyers need to ensure CDPs they are considering support the platforms and tools that matter most to their organization, and that these integrations are well-documented and certified. See these examples of certification pages from Adobe and Oracle. See the full list of integrations provided by mParticle. Many CDPs are rooted in an email or web-centric paradigm, meaning they aren’t well-suited for mobile and omnichannel marketers. 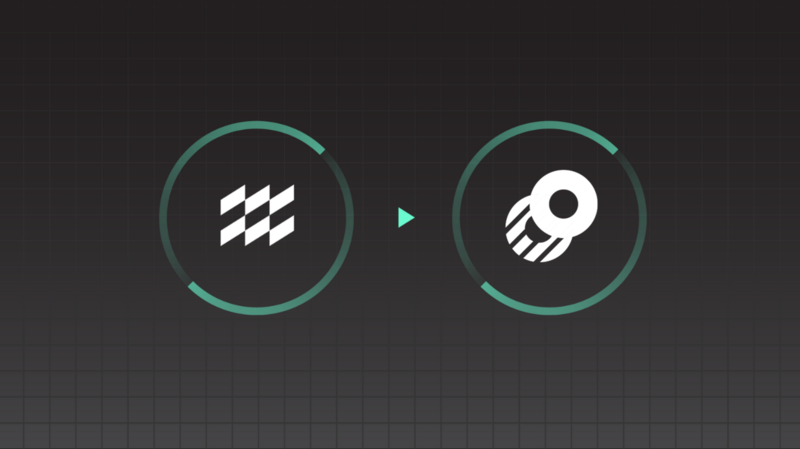 If your customer journey includes people interacting via mobile platforms (Android and iOS), or connected devices (AppleTV and Roku), you’ll need a CDP that supports these natively with robust and well-documented SDKs. By definition, CDPs enable unification and distribution of first-party customer data. However, if you wish to learn more about your customers from other sources of data, you’ll need a CDP that facilitates data enrichment from partners and third-parties. Not all CDPs support the same set of marketing scenarios. Some CDPs are great at feeding data into data warehouses and reports, but require manual processes to take action. Still others provide executional support, but only across a limited number of channels, like email and sales automation systems. 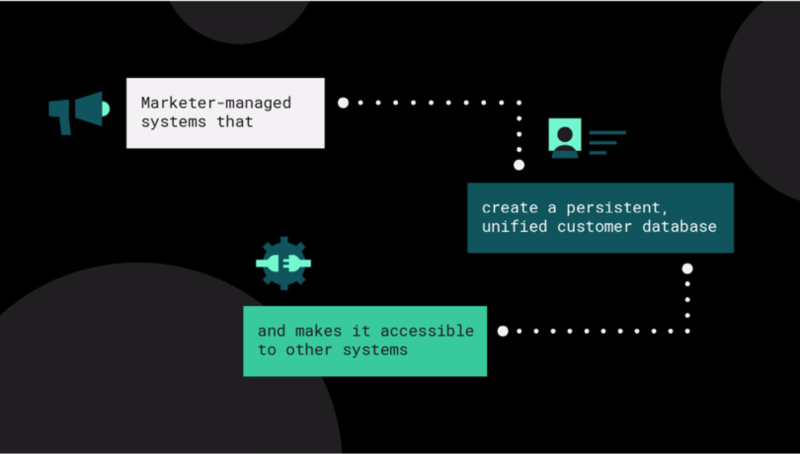 mParticle’s CDP was the first to support the newer breed of mobile marketing automation and attribution platforms, in addition to web DSPs, DMPs, and more traditional CRM and campaign management applications. This makes it possible to create and orchestrate experiences across the full breadth of the customer journey. Data connectivity, unification, accessibility, and control—for which CDPs provide a partial, technology-enabled solution—are a necessary but not sufficient part of getting personalization right. To understand how a CDP can contribute to performance lift, you need to consider their ability to increase your marketing speed, orchestration, and contextual understanding of your customer. The second customer data platform business case driver, operational efficiency, focuses on the cost saving aspects of a CDP. Depending on the CDP you are evaluating, and how it is implemented, you may be able to find cost savings in data integration, marketing operations, and media cost through automation. Uncertainty increases the required “breakeven” point for investments, including marketing investments, essentially raising the bar. Customer data platforms help lower that bar somewhat by mitigating risk. Investing in a CDP can create an insurance policy of sorts by reducing platform risk (data dependency), payback risk (time to value), and regulatory risk (ensuring your ecosystem is compliant). Marketing efficiency and efficacy are important reasons for implementing a customer data platform. But, strategic initiatives create value in the long term and build economic moats. CDPs can help companies build these economic moats by creating demand-side barriers and supply-side competitive advantages. To get the most out of your data management, you need to align costs with benefits and determine your total cost of ownership. 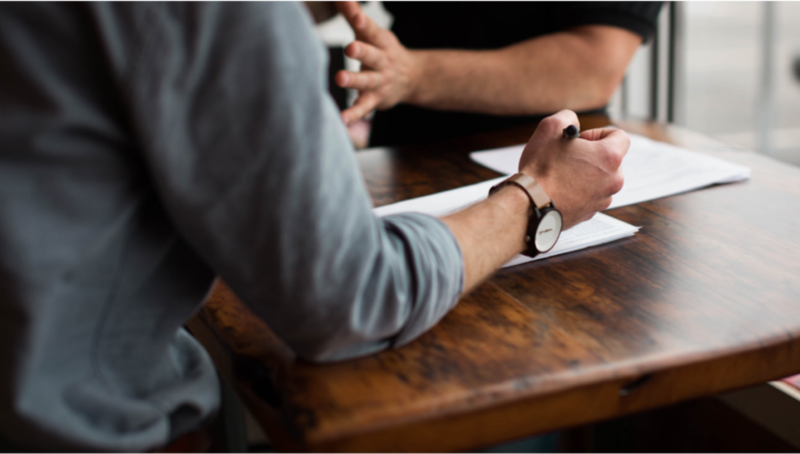 Before allotting resources to a CDP, or any other data management system, you need to weigh the cost and benefits of implementation and subscription, maintenance and data enhancement, professional services and training, and security. A CDP can decrease the amount of time and money necessary for collecting, processing, and activating data while increasing its usefulness. 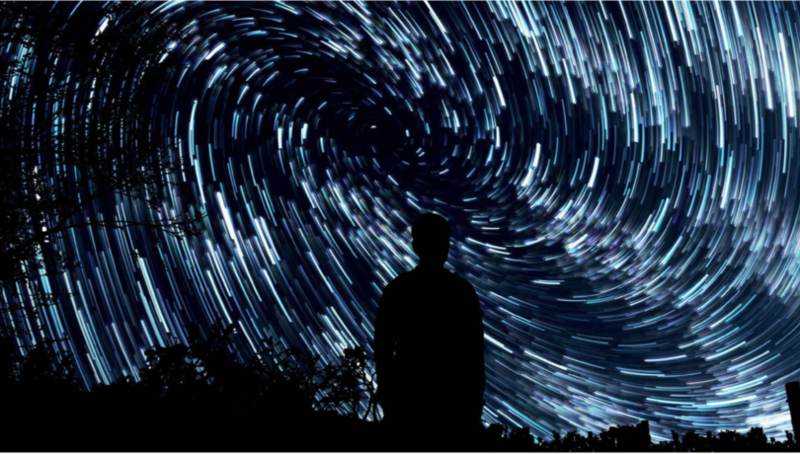 What's next for customer data platforms? As more data is created by your customers during their buying journeys across a growing number of devices, legacy data platforms and integration methods will no longer suffice. Every brand will need a customer data platform purpose-built to integrate and orchestrate customer experiences in an omnichannel world. repositories (sloppy data lakes won’t cut it). CDPs will provide the perfect training ground for marketing, sales, and customer service AI. Finally, CDPs will have to stay ahead of shifting privacy regulations and increasing security threats. It is essential that they innovate, not only along the dimension of customer experience but also for security, reliability, and identity management. 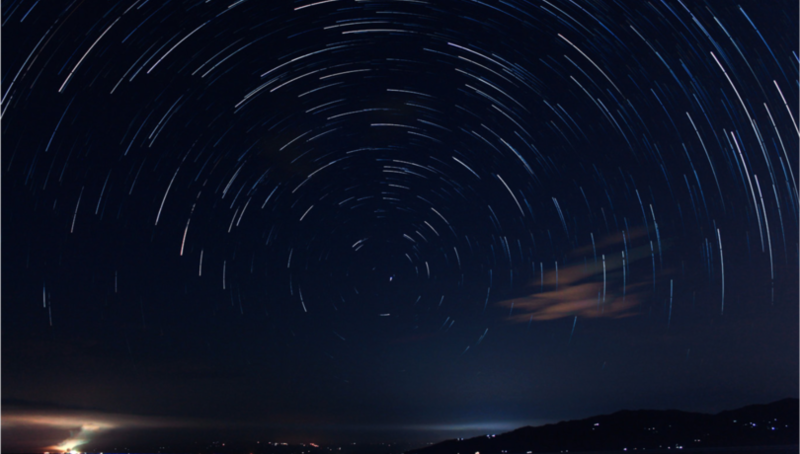 Marketers are no longer dealing with a finite number of systems but rather an ever-increasing number of SaaS applications that house and action data. Meanwhile, the number of places and ways customers are creating data has also increased, from one or two devices per user, to multiple, interconnected devices. Companies need a CDP that can help them overcome the customer data silos, while still allowing marketers to take full advantage of the specialized, best-in-breed components of their marketing stack. CDPs can enable a wide variety of use cases and benefits for different marketers. With the right data strategy, a CDP acts as a bridge between traditional marketing databases and newer digital channels, between systems of insight and systems of engagement, and between online and offline, to provide a 360-degree view of customers. As the customer journey continues to fragment, finding the right CDP will only become more important. If you’d like to learn how mParticle can help you unify your customer data, boost engagement, and increase advertising and marketing ROI, contact us today! 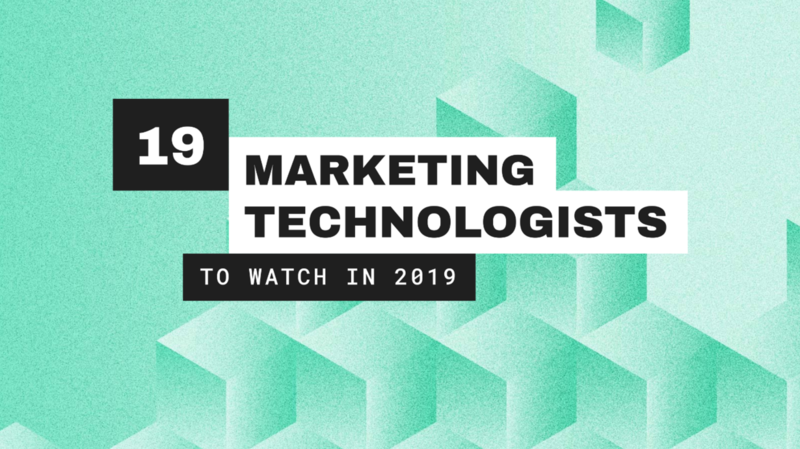 The 19 marketing technologists that are making an impact today and paving the path for the innovation of tomorrow. Use mParticle and Optimizely’s experimentation platform to empower your marketing and product teams to easily A/B test and deploy winning digital experiences in real time. 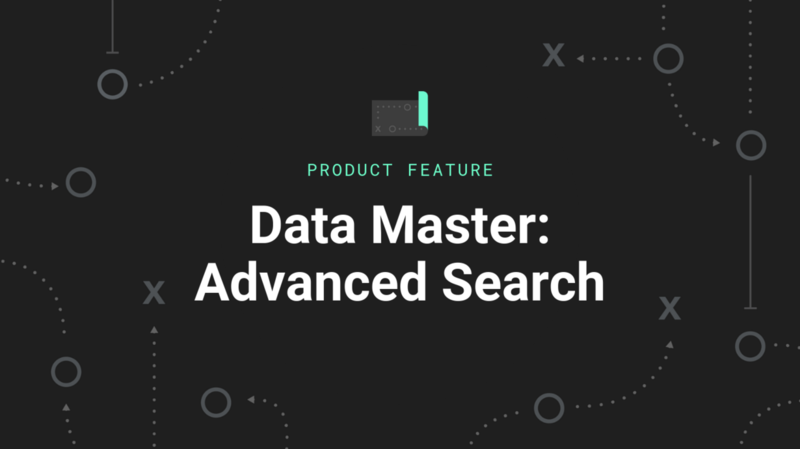 The new Data Master Advanced Search feature empowers marketing, analytics, product, and engineering teams to track down exactly the data points they need to power business and product initiatives faster than ever. Request a meeting at Gartner Marketing Symposium and Xpo, the must-attend conference for CMOs and marketing leaders, in San Diego April 29th - May 1st. Connect with an mParticle expert to discuss how to integrate and orchestrate customer data the right way for your business. Sign up to receive the latest mParticle news and insights in your inbox. © 2019 mParticle, Inc. All rights reserved.